In this fourth episode of Music Mondays, industry experts from Harmonix and Disney Interactive speak about the process of sound design for video games. For the remaining Mondays in September, we will present a different video highlighting the partnership between Dubspot LA and Disney Interactive’s Disney Fantasia: Music Evolved each week. Dubspot and Dubspot Labs are both excited to be partners with Disney Interactive, Harmonix and Microsoft to help create innovations in music and technology. In this video recap, industry experts from Harmonix and Disney Interactive speak about the process of sound for video games and give an inside look at the production of Disney Fantasia: Music Evolved. 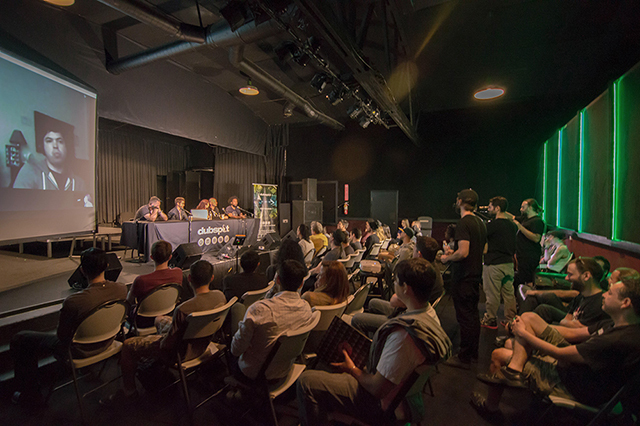 Dubspot staff and Fantasia remixers join us for an insightful discussion on breaking into the video gaming industry as a sound designer and the process of sound design for games. 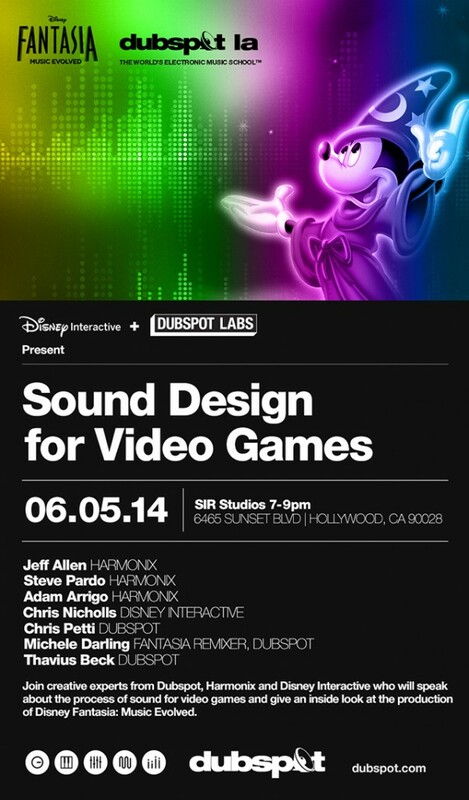 Also learn valuable sound design tips from Dubspot Instructors and check out a demo of the upcoming Disney Interactive title Disney Fantasia: Music Evolved. Disney Fantasia: Music Evolved is a breakthrough musical motion video game inspired by Disney’s classic animated film, Fantasia. In the game, players enter the magical realm of Fantasia, selected by the legendary sorcerer Yen Sid, to hone their musical and magical prowess as his new apprentice. Disney Fantasia: Music Evolved takes players on an interactive and immersive motion-controlled journey through worlds of music and magic. Read more about this new game and find pre-order information at Disney’s game portal.